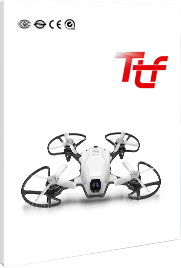 T20 commercial quadcopter is a VTOL fixed wing UAV, which adopts hybrid configuration of fixed wing and quadrotor. Based on this special airframe design, vtol fixed wing drone can vertically takeoff and land and have no need for runway, takeoff and land airspace nor catapult. It has the ability of long-distance and high-speed cruise. The industrial flight control and navigation system, which is specially designed for T20 series UAV, ensure the UAV can realize fully-autonomous flight, switch of flight mode and vertically takeoff and land, etc. No need for runway, takeoff and land airspace nor catapult let T20 can operate in complex terrain like mountains, hills and forest, and dense region of buildings, etc. These characteristics enlarge the application of T20 which is an ideal choice of industrial UAV. Simple Operation: fully auto- magically intelligent section box to adjust the route fixed-point landing, survey data will be safely returned. High Precision: upgrade based on the flight experience in different types of terrain. The final aerial survey data was field verified by Wuhan University professor and the horizontal accuracy was 1: 500.